LG would like to let you know that you're perfect, just the way you are. Yes, you. And you, in the back. Not you with the Galaxy S4, though. 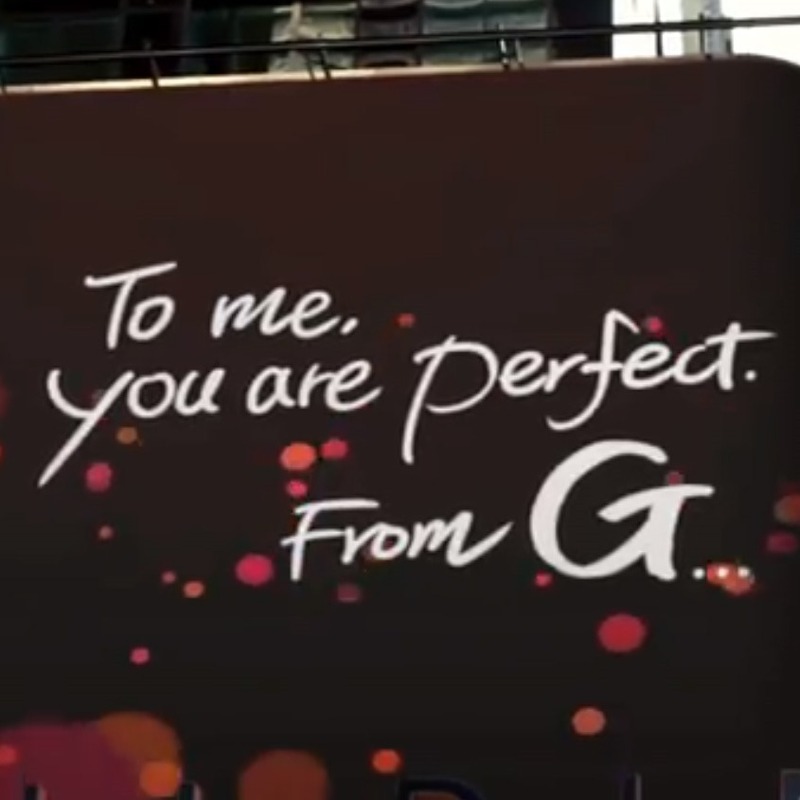 Their latest posted video from the official LG Mobile YouTube account tells a tale of happy people running around New York City, taking photos and videos of various posters and signs bearing the legend, "To me, you are perfect. From G." Plus, there's a great big numerical "2" at the end. I'll give you three guesses as to what they'll announce. The event to announce the successor to last year's Optimus G will be held on August 7th in New York City. (Would it kill a major tech company to hold a nationwide event somewhere other than New York or San Francisco? Rockefeller Center is still recuperating from the Galaxy S4 event.) All we've seen from the device area few candid promotional photos with some interesting design choices. It's a safe bet that the Korean company will be pulling out all the stops for this one - top-of-the-line hardware and a bigger screen are almost a given, though LG might not go so far as the enormous 5.5-inch Optimus G Pro. Be on the lookout for a Snapdragon 800 processor from LG's best buddy Qualcomm. Place your bets, ladies and gentlemen. You've got just under a month to get them in.